This article reports the measurement results acquired when a metal sheet was scanned with a resolution chart engraved on its surface. 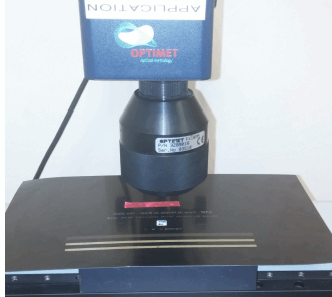 This test was performed using Conopint-10 sensor with 25mm and 16mm lens, and a Conoscan 3000 scanner. The goal was to determine the capabilities of Optimet sensors in measuring the micron size on the metal sheet. Download the full article below for the complete results.